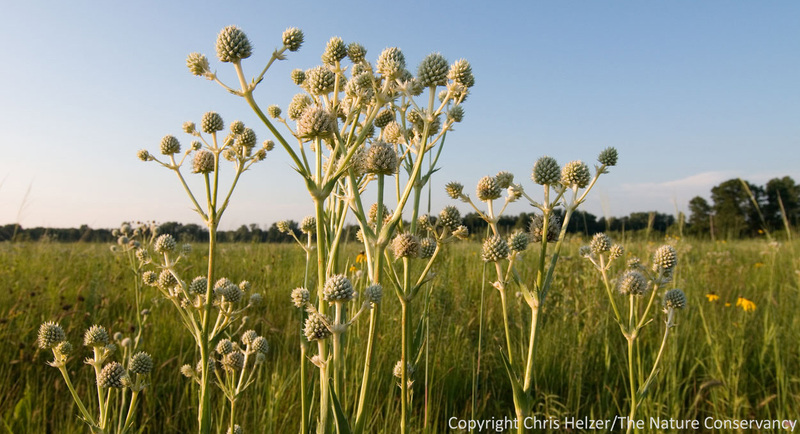 The Grassland Restoration Network is a loose affiliation of those of us trying to use prairie restoration (reconstruction) as a way to rebuild, conserve and sustain grassland ecosystems. Each year, we put on a workshop to share ideas, techniques, research results, and stories with other. Workshops are hosted by a different site each year, giving us the opportunity to visit a range of projects over the years. Kicking the dirt together helps us better understand challenges and strategies being employed at each others’ sites, but also stimulates better discussions than when we’re sitting in a sterile hotel conference room. The workshops tend to minimize lectures and maximize both formal and informal discussion time. I missed the 2012 workshop, but you can read my posts about the 2011 workshop in Indiana by clicking here. 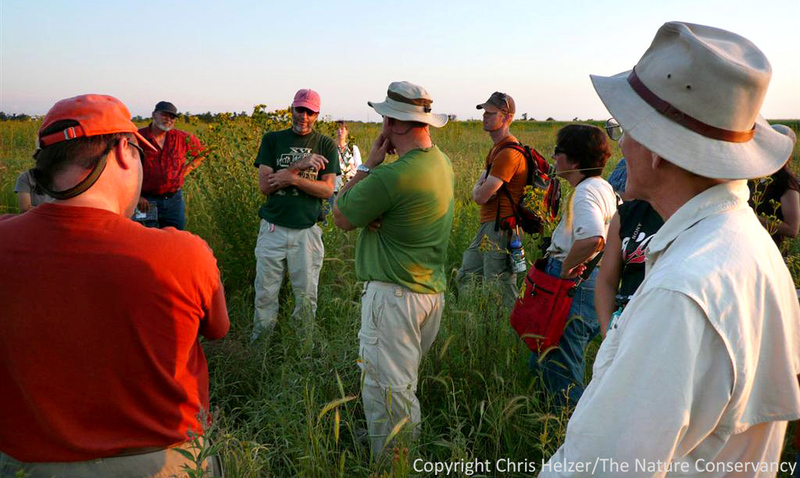 Bill Whitney, of Prairie Plains Resource Institute, leads a field discussion during the 2009 Grassland Restoration Network in Nebraska. This year’s workshop will be hosted by the Missouri Department of Conservation in Columbia, Missouri from July 16-18. If you are interested in attending, you can download the preliminary agenda and registration information by clicking here. 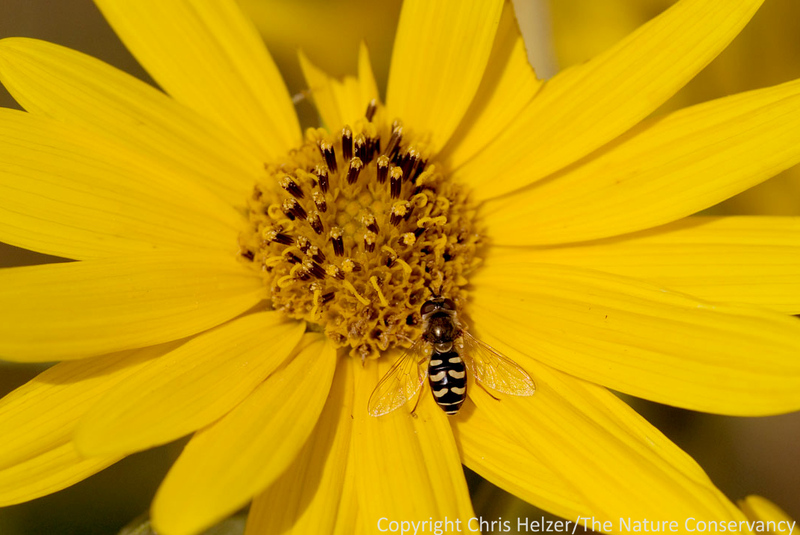 In addition, you can follow the activities of the Grassland Restoration Network on our new blog/website, initiated by Bill Kleiman, at Nachusa Grasslands. That link is here.